What are all of you doing this weekend? Kid Lit Drink Night: SCBWI Edition! When: Friday, January 27th, 8pm. Where: Public House (www.publichousenyc.com) on East 41st Street between Lexington and Third Avenue. Who: All the cool people! Seriously, this is the one night only hot spot for editors, agents, authors, SCBWI-goers, and generally interesting book people. Plus, the FNC will be there! We'll make sure we have on super-cool name tags. And maybe we'll break out our FNC tote bags for the occasion. And then, if you're around, you might just be going to SCBWI New York this weekend. I am! I'll be there on the front lines representing the FNC this year, listening to some awesome authors like Cassandra Clare, plus tons of super-cool editors and agents. So, anyone else venturing to NYC this weekend? 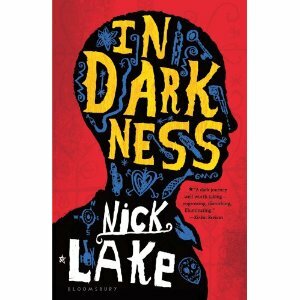 Saving the school that inspired my love of YA lit. To put it simply: high school was home to me, and now that school is set to close. I'm madly in love with YA novels because of my high school experience. By senior year, I was a ridiculously active member of about seven extracurriculars. I spent so much time at school that I joked that I should have a cot there to stay overnight. I found two lifelong best friends there, and my junior year, I sat in the English class of the best teacher I've ever had. Earlier this month, my alma mater, St. Hubert Catholic High School for Girls -- a mouthful of a name better known as "Huberts" -- was selected as one of four high schools in the Archdiocese of Philadelphia recommended to close this June. I knew I'd be upset. I didn't know I'd be heartbroken. St. Hubert's is a one-of-a-kind school. Many of the teachers have been there for 10 years. Some have been there for 30 years. They all know your name, and they remember it, whether you graduated last year or eight years ago. The school has the largest women's athletic program in Philadelphia, over 35 extracurricular activities to join, and seven Advanced Placement courses. It keeps the local neighborhood vibrant, safe, and prosperous. It's been around for 70 years, a landmark in Northeast Philadelphia. These are just the facts. The heart of the school is its students and alums. 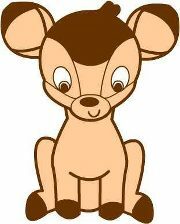 Generations of Bambies (yes, our school mascot is a cartoon deer) love the school and are fighting to keep it alive. Within a couple days of the announcement of the closure, the students and alums held rallies and press conferences. Hundreds of students crowded the steps to the school multiple mornings at 6:30am to protest the decision. Seriously, when teenagers are shouting and chanting and waving posters and singing the school song at SIX THIRTY in the morning, you know the school is something special. The school's Board of Advisors and Alumnae Association are appealing the decision this week, and they're fighting facts with facts. The closure was based on declining enrollment and a financial deficit, so the appeals committee has to prove that our school is a viable entity for the future. We raised nearly half a million dollars in ten days. Ten days. The appeals committee is fighting losing odds, but they're fighting, and I can't help but fight with them. As a writer with a goal of publication, I know more than a little bit about crappy odds, but that hasn't stopped me, and it's not stopping St. Hubert's. 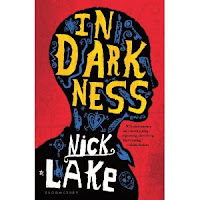 I'm writing about this here because high school is the center of the YA experience, and I want to honor my high school for giving me an incredible four years that have impacted my life in the best way possible. If you want to learn more about the inspiring ways St. Hubert's is fighting to stay open, check out SaveHuberts.com. If you're able and willing, you can make a PayPal donation today to help the cause. If you aren't, thank you for reading this post and sharing in the St. Hubert legacy. The best part of all this? If the appeal is denied, all funds donated will be used for scholarships to assist current students as they transfer to new schools. That's the St. Hubert spirit, and why I'm so proud to have been a part of such an amazing school. The appeal hearing is Wednesday. I hope Huberts beats the odds. But that's not the news I want to tell you of today. It's just what's setting a lovely, cozy scene as I sit at my kitchen table, coffee in hand, prepping to tell you this news. The flakes are getting bigger, and I wonder if it will end soon. Sometimes big flakes mean that. My heart just did that weird flip-flop thing it was doing all day yesterday. Anyway, that's right. Yesterday morning, at right about this same time, I signed an agreement with an agent--with my agent. 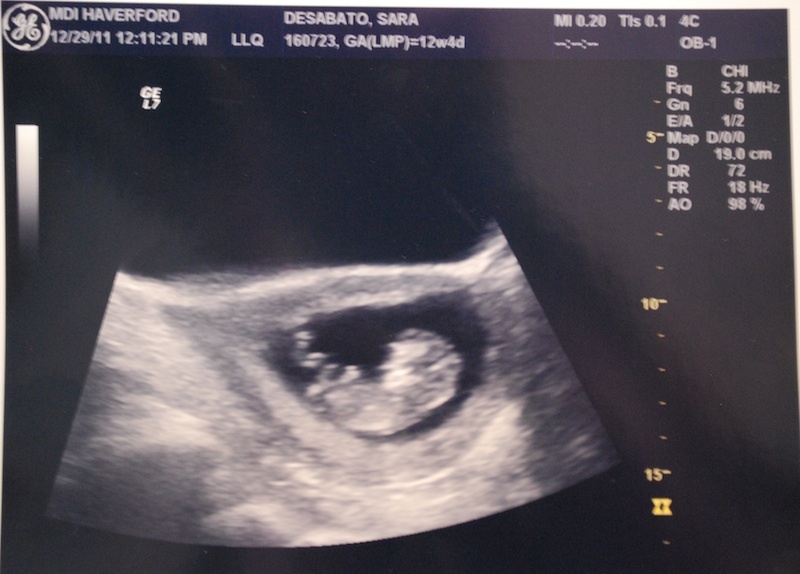 I can't begin to tell you how excited--even giddy--I have been the last couple days. I expect this marks the beginning of a wonderful working relationship as well as the continuation of what has been to this point a fabulous journey, even with all its ups and downs. This step has been a long time in coming, and it couldn't have happened without the support of fellow FNCers Frankie, Donna, and Sara whom I cannot thank enough for their encouragement, support, kicks-in-the-pants, and friendship. Ladies, thank you. Thank you, thank you, thank you! It seems the snow has stopped for now, but the work is only just beginning--the revision work of course, not the shoveling--so I'm going to sign off. Have a wonderful weekend wherever you are! PS: (i have an agent!) Oh, forget the parenthesis. I have an agent! PPS: Can you tell I'm excited? I hope so. Thanks for reading! PPPS: Have I mentioned that we keep chickens? Not at our condo, of course, but 5 minutes down the road at my mother's, we keep seven hens. They lay beautiful eggs for us. Can you believe it?--It's Hen&ink, and we keep chickens! Could this be any more perfect?!?! Epic News Today! 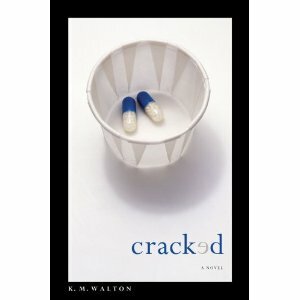 Our good friend, K.M Walton's debut novel CRACKED is in stores today! And it is awesome! So awesome in fact that last night, Donna and I ran into CRACKED at the bookstore and what follows is a short adventure. Donna and I were sneaking up on CRACKED! We wanted to surprise him. Oh no! CRACKED spotted Donna! Busted! But it was okay because CRACKED and its twin brother CRACKED were so happy to see her! So then CRACKED was like, "Frankie! Donna! Calm down! I'm going to meet EVERYBODY SEES THE ANTS in the cafe for some coffee and have a chat." After coffee, CRACKED decided to go chill with his favorite local books. But I had to stop that, so I could read CRACKED myself. And after much chagrin, CRACKED agreed to let Edward look in his pages. CRACKED went over to the Nook and had one question for him. "How on earth do I fit in there?" Nook would not reply. CRACKED tried to hang out with some bananagrams. But they were making him hungry. And after all that excitement, CRACKED lounged on a couch for a bit. His coffee caught up with him and he raced to the bathroom. But there was one little problem...No Merchandise allowed inside. Luckily in that moment CRACKED remembered he was a book and he didn't have bodily functions. Instead, CRACKED read a bedtime story. HAPPY RELEASE DAY to CRACKED and K.M. WALTON!!!!!!!!!!!!!!!!!!!!!!!!!!!!!!!!!!!!!!!!!!!!!!! And if you're in the eastern PA area this Saturday at 7pm, be sure to come hang out with us (and our fave indie bookseller friend, Joanne!) at the official CRACKED release party at Chester County Books and Music in West Chester, PA.
Today, Frankie's hosting the The 3rd Annual No Kiss Blogfest over at her personal blog, Frankie Writes. Why? We're honoring the almost kiss --- the swooniest, most torturous scenes in literature! Earlier today, Sara posted an awesome no-kiss scene she wrote for the blogfest, and here's my contribution of one of my favorite no-kiss scenes, from Kristin Cashore's oh-so-intense-and-incredible FIRE. 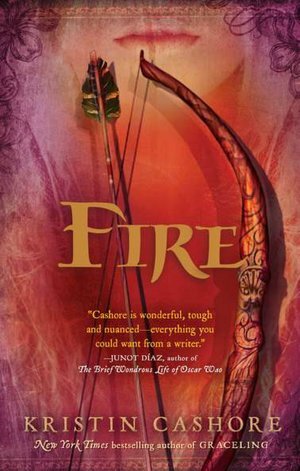 Fire is a Monster, the last of her kind -- she is a girl whose beauty is impossibly irresistible and who can communicate with and control the minds of everyone around her -- a dangerous skill, one that makes her the target of many. She's using her ability for good, though, to assist King Nash and Prince Brigan in a war against rebel armies. Brigan mistrusts her entirely at first, but they eventually become friends, and then they fall in love -- but war doesn't leave time for romance, and all too often, Brigan has to go into battle. Here, Brigan is trying to see a grieving and seriously-injured Fire before he leaves, but she can't bear to see him. Normally, Fire is heroically brave and in control, a force to be reckoned with, so to witness her at her most vulnerable makes it a powerful scene. There was a noise in the doorway and a man's harsh voice. "Commander, we're ready." "I'm coming," Brigan said over his shoulder. "Wait for me outside." Go, Fire thought to Brigan. Don't keep them waiting. I will not leave you like this, he thought. I won't look at you, she thought, pressing at the wall clumsily with her bandaged hands. I don't want to see your new battle scars. He came to her in the corner, the stubborn, steady feeling of him unchanged. He touched his hand to her right shoulder and bent his face to her left ear, his stubble rough and his face cold against hers and the feel of him achingly familiar, and suddenly she was leaning back against him, her arms awkwardly embracing his left arm, stiff with leathered armor, and pulling it around her. "You're the one with new scars," he said very quietly, so that only she could hear. "Don't go," she said. "Please don't go." "I desperately want not to go. But you know that I must." "I don't want to love you if you're only going to die," she cried, burying her face in his arm. "I don't love you." "Fire," he said, "Will you do something for me? Will you send me word on the northern front, so I know how you're faring?" "Does that mean you won't send word?" "No," she said confusedly. "Yes. I'll send word. But--"
"Fire," he said gently, beginning to untangle himself from her. "You must feel what you feel. I--"
Another voice, sharp with impatience, interrupted from the doorway. "Commander! The horses are standing." Brigan spun around to face the man, swearing with as much exasperation and fury as Fire had ever heard anyone swear. The man scuttled away in alarm. "I love you," Brigan said very calmly to Fire's back. "I hope in the coming days it may comfort you to know that. And all I ask of you is that you try to eat, Fire, and sleep, no matter how you feel. Eat and sleep. And send me word, so I know how you are. Tell me if there's anyone, or anything, I can send to you." Go safely. Go safely, she thought to him as he left the building and his convoy pounded through the gates. The intensity gets me every time, just picturing him holding her from behind, their hurried confessions of love before he has to go back into battle, when everything's falling apart. Awesome! The oh-so productive FNC member Frankie is hosting The 3rd Annual No Kiss Blogfest today over at her personal blog, Frankie Writes. I've always enjoyed reading the posts, but haven't ever participated before. I actually wasn't planning on participating this year, until the inspiration bug bit me last night and a scene popped into my head. 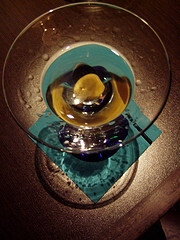 So here you are--my contribution to the 3rd Annual No Kiss Blogfest! Stay tuned later today for Donna's contribution -- a swoony no-kiss scene from Kristin Cashore's Fire! Ariel stared at him. The training kit chafed under her arms and weighed on her shoulders. It was a men's small, the smallest the program had to offer, but it was still two sizes too large on her petite frame. It had been too long since a female knight had walked these halls. Ariel shrugged, adjusting the shoulder pads again. “That was before the war broke out,” she said. “With my family's holdings, and your family's land right on the border...” she trailed off. She knew she didn't need to finish the thought--Anthony had heard the rest, more than once. “They need the allegiance to be formalized now.” She ran her finger along a crack in the leather of the wrist guard. The jagged edge reminded her of the scar she knew ran down the side of Anthony's face, drawing a bending red river that clipped the lobe of his left ear before burrowing under his hair line. It reminded her of how she'd almost died that day, eight months ago. How he'd saved her, and how things had been so different between them afterwards. “Why did it have to be Marc?” Ariel heard the real question in his voice: Why wasn't it me? But she'd known, as had he, that he was his father's mistake with another woman, and a poor choice to secure a political ally. “Your brother is a fine enough man,” Ariel said, though she knew the question hadn't been meant for her. “And I'm only 16,” she pointed out. “And I won't ever have a shield. Not now,” she said softly. She looked up at him. How similar he looked to his younger brother--same strong jaw line, same tight curls hugging his head. But his eyes held a depth his brother's lacked--a wisdom, a compassion. A deep-seated pain she wished she could pull from him. “It's not a wedding dress I want,” she whispered. “It's not Marc I want you to marry.” The pain expanded, swallowing the color in his eyes. She turned away before it took her as well. “Ariel,' he reached for her hand. She pulled away but he caught the wrist guard. Only his little finger rested on her skin, curling around the edge of her arm. She yearned to feel the heat of his whole hand on her skin. He tugged her towards him and she let her body flow forward until her training pads pressed against his chest. “How silly you look in this kit,” he said, a gentle smile playing on his lips. She glanced down. “Marc says I look like a child playing dress up.” She swallowed the sting of the words. “My brother is a fool,” he said. “But this thing is rather absurd.” In a single motion, he'd undone the ties along the back and Ariel felt the heavy padding fall from her body. Now there was nothing between them but inches. Anthony let his hand linger at the small of her back. He pulled away to look at her. His face hovered inches from hers. She could see the shadow of stubble along his chin. 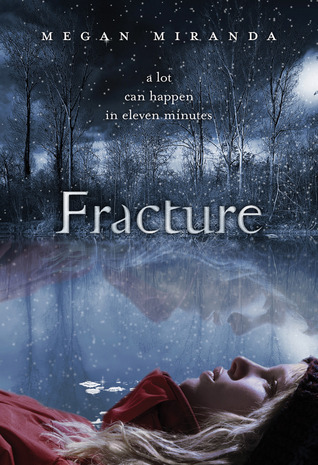 She ran her thumb along it, shivering as the rough texture pulled at her skin. “Run away with me. Tonight. I have friends in the southern border towns. We could be out of the country in less than a week's time.” His hands cupped the sides of her face, tangling in her hair. Ariel could the plan forming in his mind. They'd share a horse, two packs strapped to the back. He'd give her the reins. They would ride hard through the night, his hands wandering from her waist to stroke her hair back from her face. His mouth would leave constellations of kisses on her neck. His mouth. It was a dangerous thing. His lips were fuller than his brother's. She knew his kiss would be softer too, more practiced than Marc's frantic pecking. She drew her body tight against his, allowing him to tilt her face upwards. The soft puffs of air from his nose tickled her face. “Anthony,” she breathed. She closed her eyes, almost feeling the shadow of his mouth on hers. The door reverberated with three loud knocks. A voice called her name from the other side--it was Marc, and she could tell he was angry about something. She took a step back. “I can't.” She turned towards the door. She couldn't keep her future husband waiting.